People are coming over tonight. My children are excited. I think they (my children) are more like my husband when it comes to this area. This area of hospitality. Why is it often a struggle for me? Shouldn't my heart be for His people? My children, my husband, they are people persons. How does one move past people pleasing and onto a heart for the person? I wonder why I sit here, now, writing out these thoughts instead of cleaning the bathroom of all its imperfections. This is not usually like me. Could this mean that my prayers are being answered? Could this mean that Father is changing my heart to one that is more loving? 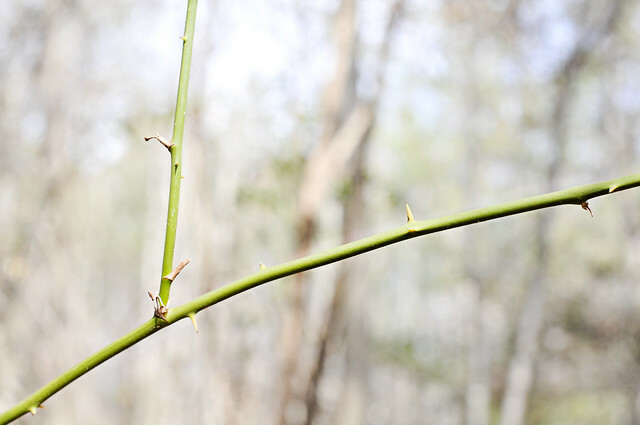 Could He be adding more than simple thorns to my frame? Am I becoming a people person? One can only hope right? Taco Tuesdays, the day couldn't be a better one for last minute guests. Everything is already in the meal plans and I have plenty extra to spare. Why not open up the house? Why not add two more plates to the table. Adding to the conversation. Why not be more like husband and children. Am I the only one that struggles with hospitality? Is becoming a people person on your prayers list? Can I let you in on a little secret? Even people persons (and you KNOW I'm one) struggle in this area:) I admit, my biggest struggle is wanting things to be perfect. I want to be Martha, with the perfect food, the perfect decor, working working working. I am learning to be Mary. To sit with my guests and LISTEN to what they are saying. To love them unconditionally. To wash their feet with my hair if I have to. Martha, she was one heckuva entertainer. Mary...she just loved Jesus. Finding my Mary heart has been harder than I thought it would me. I always love the idea of having people over...but then dread it because of all the "prep" work I feel like I have to do. Like Lydia, I always want things to be "perfect" and am being to realize that they will not be "perfect" all the time. So funny because our pastor spoke about loving the person and being hospitable and breaking barriers to getting to know others...and here you are writing about the very thing he taught this past weekend & Lydia has been blogging about. I know the way He speaks is never a coincidence. Many times I don't entertain because of that very reason and I feel that I'm missing out a lot. I know people who just say "come on over!" and they pull out something from the freezer. I'm not that way and I want to be a little bit like that. Just a little bit, because I do like my guest to feel special and I want them to see that I prepared the house for them. I'm Ok with a little bit of Martha. And more if I don't do it very often. I think it's sweet that you want your guest to feel special and you want them to see a nice clean bathroom. What a beautiful sign of love for someone. Oh dear, I think I am a person who makes up any excuse not to be around people. I'm not sure why as i love to hear about others and i love being around people when i am around them but before hand i will try and avoid it. Why? Then i wonder why i am lonely. I used to care for others and loved that i was giving back but now i am a loner. Thanks for your thought provoking words. I love people! I love being with them, but I have to say that the introvert in me gets quite exhausted from preparations and up keep of hosting. We, because of this, make things SO laid back at our home, but even still I can tend to feel exhausted after hours of hosting. It's fun, but I realized something about myself... I need to keep things simple and host with more 'one on one' in mind. However, I am SURE of this fact, that I can use more of the HEART of Jesus! What good food for thought! Oh Heather, I struggle with the same thing! I love the thought of entertaining and hosting parties, but then dread it up to the day it happens. I would much rather spend an evening with good book, so yes, I'm definately praying for a more hospitable heart and home.